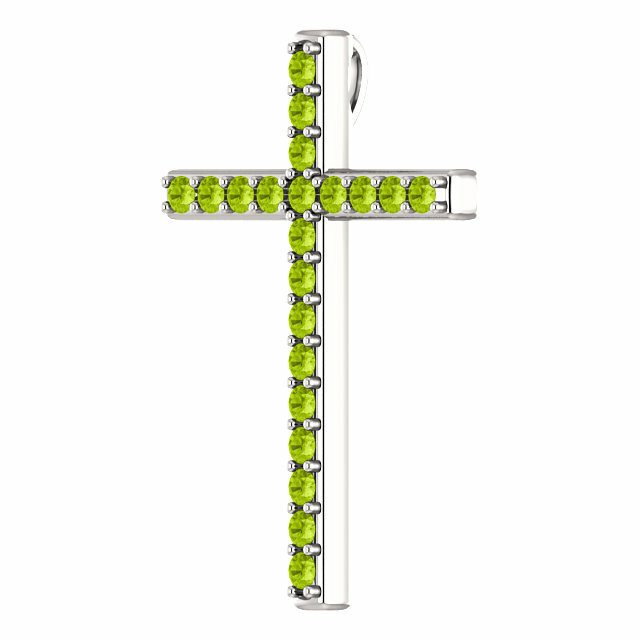 The olive-colored green of this peridot cross pendant in white gold reminds us of the many olive trees mentioned in the Bible, such as in Psalm 52:8 which compares the faithful righteous to a flourishing and tall olive tree: "But I am like a green olive tree in the house of God: I trust in the mercy of God for ever and ever." 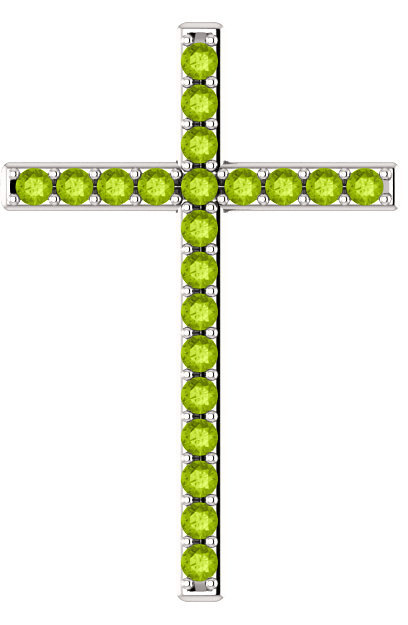 The gemstone cross is set with 21 high quality, brilliant "AA" rated 2mm peridot gemstones. Add a matching white gold cable-chain in 18" or 20" (optional) or wear the pendant with any necklace of your own. Cross measures 1 1/4" tall x 0.85" wide and the hoop/bale of the pendant is hidden to create a pleasing, aesthetic appeal when worn. Since each gemstone cross is made to order for utmost in quality, please allow approx. 7-10 business days before shipping (with an additional 7 days for platinum). 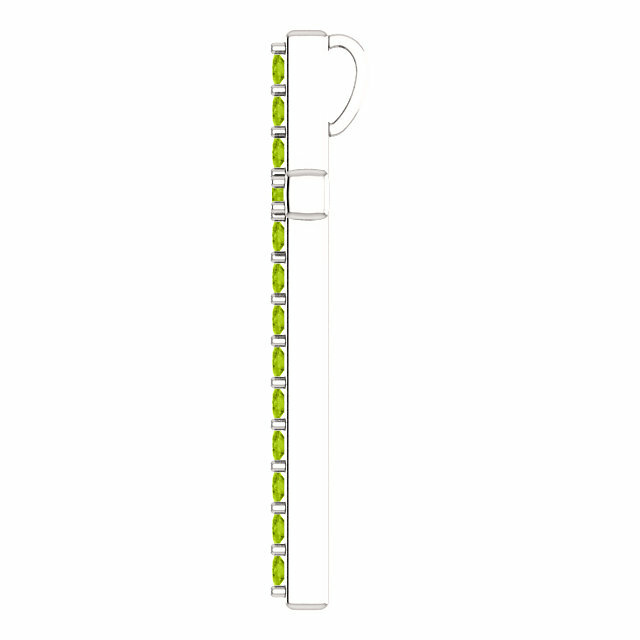 We guarantee our Olive-Tree Green Peridot Cross Pendant in White Gold to be high quality, authentic jewelry, as described above.